Credits to Robert McLaws for inspiration. Its the subtle joke that makes this, like how there used to be tape on it making sure everything worked. I don’t get the “switch” campaign? 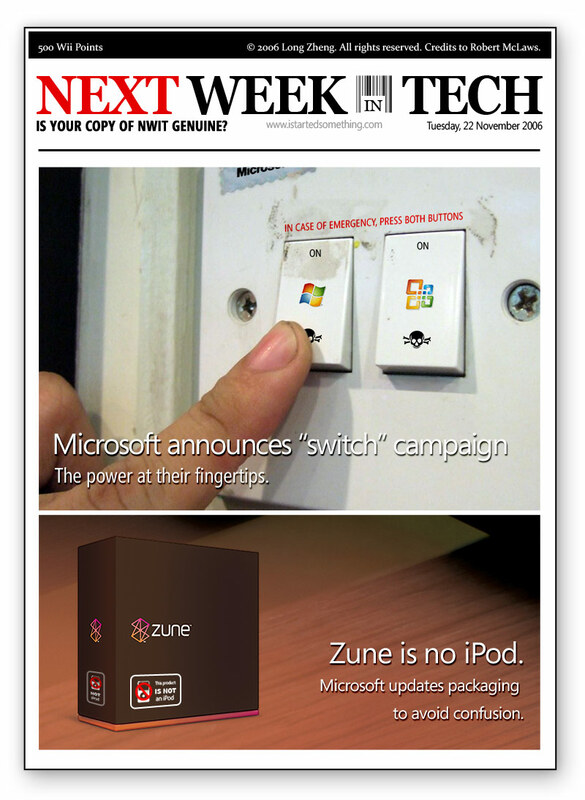 All the news in the last two weeks about “kill switches” in Vista & Office. Or else, I love this one Long, as always, you made my laugh, again, and I’m impressed with your PhotoShopping, thank you! Chad, maybe you didn’t read the very first sentence in the story you linked to, or perhaps the rest of the story about “reduced functionality mode” throughout? Turning your OS and Office Suite into a viewer with no other abilities is killing it.